This year’s theme is the “Trivia Rush of 49.” Since Dan is the only one old enough to remember the gold rush first hand, he has been appointed to the “Historical Research Committee,” charged with collecting all sorts of useless information on the era which OZ will undoubtedly ignore in favor of asking questions about Modern Family. Have fun panning for that info Dan. The contest itself will take place as it has in the past, with the bulk of the team arriving a few hours after it has begun, or possibly Saturday. Hey, some people have to row there. Apparently all you need to do to get out of hosting a bunch of nerds for the weekend is to throw yourself off of a moving vehicle. Witt demonstrated this by burying a motorcycle into the pavement and faster than you could say “I hope he was wearing a helmet” his offer to host Trivia was rescinded! Maybe next year. Luckily, our gracious hosts the Powers Clan (more or less willingly) offered to accept us back into their hearts and home for yet another year. How about a round of applause? This year Hunter has been appointed to head up the “Organization Committee,” tasked with making sure everyone is pitching in with meal preparation, cleanup, and – maybe if she has time – making sure someone is actually awake to play every hour of Trivia. Meh. Speaking of which, don’t forget to chime in with what meal or supplies you are able to bring. Bottled water, soda, snacks, meals, disposable dinnerware, paper towels, etc. are all appreciated. While we assume Meaple will bring his Bawls, we should not rely on just one man’s supply of quasi-inappropriately-named and semi-erotically-shaped energy drinks. Also, don’t forget your laptops and ethernet cables! We can’t all share Dan’s computer while he is passed out in the back with the clap/mono/h1n1. Not only are we short Ben Idontactuallyplaytriviaimjustloud Adams this year, we are also going to be down Juan Igotonequestionrightsoimgoingtoplayminecraftforthenextfiftythreehours Gonzalez. Rough year for the LoonyStuds family. Fortunately, players are (finally) having babies, so if we are lucky in eighteen years or so they’ll be huge nerds like those jerks on Festivus and can carry our depends-wearing asses to victory! Seriously though, I am personally looking forward to seeing some new faces in the basement this year. Bring a friend, bring your mom. Bring your friend’s mom. We have candy. This is the point in the letter where we make a call for name suggestions, despite knowing full well whatever suggestions we make are going to be summarily ignored in favor of some hastily chose and not at all thought out name along the line of: “Norwigan Studs One Point Six Seven Players Slash Half Her Age Ampersand Square Root of Eleven Oz Chickenfucker.” Classic. That said, if you have some spare keystrokes to spend, feel free to submit your suggestions to the Leah with the “Trivia Team Naming Committee” at triviateamnamesuggestions@popsquirrel.net Attention: Spam Filter. 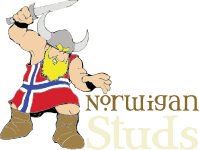 Once again Dan has provided us with an expertly crafted and thematically appropriate Viking logo for our team shirts. If you would like one, please let me know your desired shirt size (they run a tad small) ASAP as they will have to be ordered very soon. We also have mugs, cell phone cases, cowboy hats, thong underwear, bowties, hot air balloons and stickers. Please send all novelty item orders to: sellmethatwank@dragonnet.net. Well that’s all the billable time and grammatical snafus I have to waste today. See you all next month – it’s a trophy year, I can feel it!